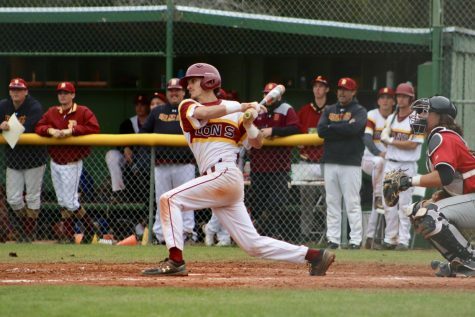 The De Anza Dons baseball team started their season off with a win on Jan. 25, defeating the Yuba 49ers by a score of 6-4. The Dons ran aggressively and took advantage of multiple errors by Yuba to score early and never gave up the lead. First baseman Sean Rooney, 19, business major, helped lead the way, going two for four with two RBIs and three stolen bases. Three other Dons had a steal apiece, pressuring Yuba into making costly errors. “I thought on the bases we did a great job of applying pressure,” coach Erick Raich said. 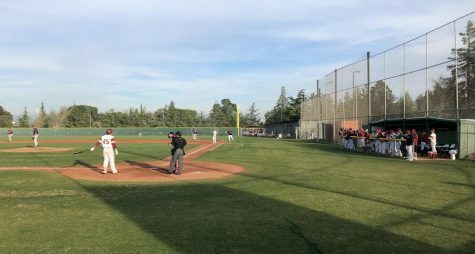 De Anza capitalized on this pressure, scoring three runs on three errors by the opposition. Yuba mounted a comeback late in the game, scoring three runs in the eighth inning to come within two runs, but the Dons were able to stop them short. Raich credited the starting pitchers for their part in limiting Yuba’s offense. “I thought our starting pitchers did a great job of attacking the strike zone, pitching aggressively,” he said. The team felt they were well-prepared coming into the season, a feeling confirmed by the final score on Friday. Gaskins went two for four with an RBI and a stolen base. Even with the result, players acknowledged that there is always room to improve going forward. 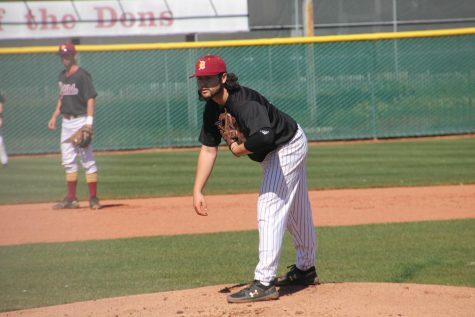 “As a team we’re doing great right now, and I think that we could just work on hitting better in situational hitting,” said pitcher and first baseman Austin Tremelling, 18, kinesiology major. Raich also talked about working on getting better plate appearances. “We had more at-bats today where I thought we got ourselves out rather than their guy getting us out,” he said. With the first game of the season behind them, the players will continue to work on improving. Though they hope to see similar results as their opener, players know that isn’t a guarantee.